After the Alamansuri fell to Kruzone Cybers in 3603, representatives of Western Rim Trade, Stelltron Corporation and the Molnsa Trade Guild held a secret summit. Later that same year, they invited certain other corporate, smuggler and pirate representatives. After several months of negotiation, the “Compact of Wills” was signed between the great trade houses and the other representatives present. It was a secret agreement for mutual protection and preservation of key assets and a plan to deal with the Cybernetic threat. The compact included a plan for reconstruction, which guaranteed member control of key trade networks across the galaxy. Within four years, Western Rim Territories were overrun along with seven other empires in the Rimward Reaches. Western Rim Trade operatives evacuated as many systems as they could before the arrival of the Cybers but many trillions of souls were left behind to face Cyber harvesting. Cybernetics advanced on all fronts throughout the 37th century. The Briddarri, Borthan and Preoun were among the races that ceased to exist as unified territories. The Stelltron Corporation and other races abandoned their territories and dispersed throughout the galaxy. The Noldan were wiped out and the Rutak had been pushed out of nearly half of their vast empire territories. This century also saw the first rebel cybernetic incursions into Terran regions. In 3745, in the coreward regions, Cybers were encountered for the first time when a Phantatwain scout squadron destroyed a Charon orbital stellar observation tower in the Dantafir-Dedak binary starsystem. These Cybers were different. Up until this point, Cyber rebels invaded worlds to harvest biologicals to create new Cybers. Charon Cybers were all machine. They were true cybernetics. Charon Cybers were the product of a rebellion against their creators, a race of humanoid aliens. Charon considered all biologicals to be a threat to their existence. They invaded worlds to eliminate all biological species. Their arrival signaled a major shift in the focus of the war. They began to disseminate the technology for true Artificial Intelligence, eliminating the need for Cybers to harvest. From the middle of the 38th century forward most biologicals were liquidated shortly after capture. However, there were a few empires who were allowed to submit to cyborg implantation. What does this mean to Takamo Universe players? Events and regions where they occurred are vital clues to technology, mercenaries, and archaeological discoveries. Knowledge of key times and places will provide clues to lost treasures and hidden dangers. 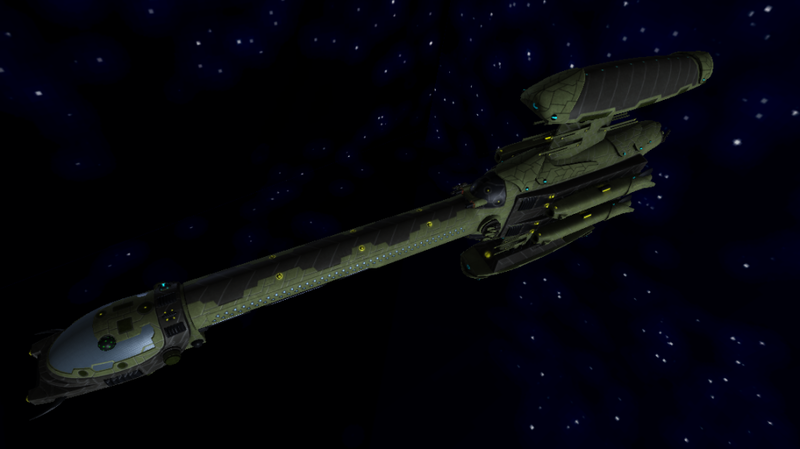 Phantatwain scout ship operating in the the vicinity of the Dantafir-Dedak starsystem circa 3745.